54 cm size is currently out of stock. Bavarian costume hat with feather trim. 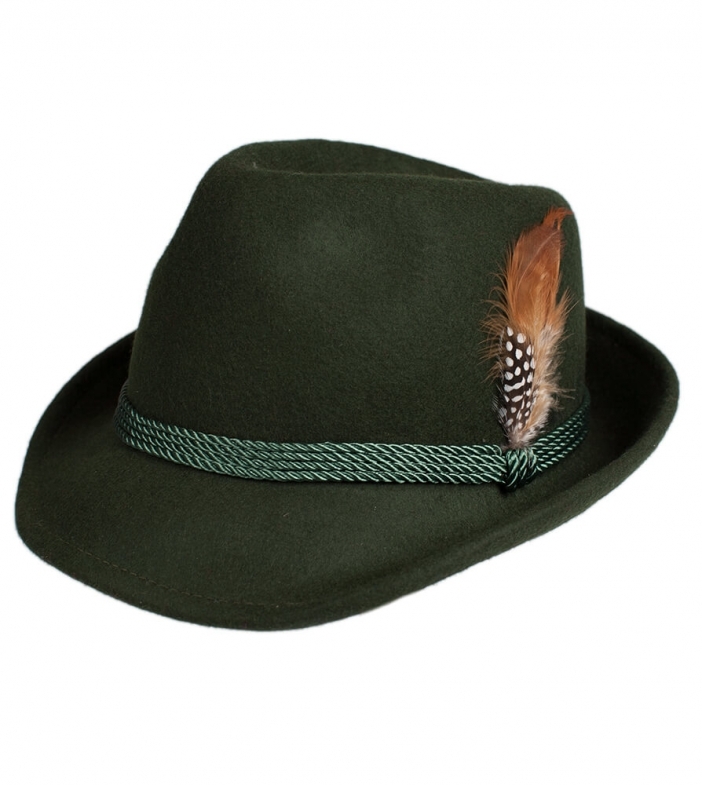 Our forest green costume hat makes the perfect accessory for Oktoberfest activities and beer garden fun. This 100-percent wool hat with a triple braid trim and feather accent creates an authentic Bavarian look. Take a measurement around your forehead to order the right size from our online shop.